Set to the nature photography of Linnea Lenkus, it takes on such great meaning and depth. Please feel free to spread the nature meme below by sharing it. Spread the word about great quotes and great images. 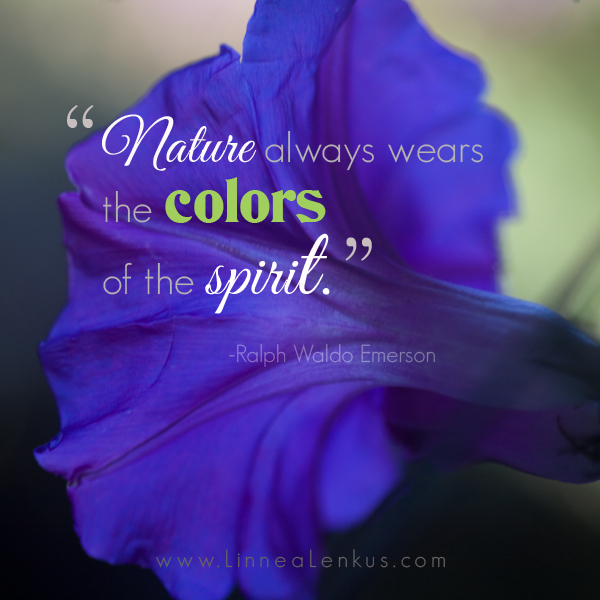 A great intellectual, lecturer, essayist, and leader in the Transcendental movement, Ralph Waldo Emerson, wrote his masterpiece, Nature, which set a tone in the intellectual movement. Linnea Lenkus is one of the photographers in Los Angeles who photographs people and flower photography for fun. She photographs portraits in her two photo studios in Pasadena and Long Beach. Click around her website to see her great portraits and boudoir photography. Call for an appointment at Pasadena portrait studio: (626) 744-9104 or our Long Beach Studio at (562) 981-8900 to have a great experience by a great photographer.